Enoch Wallace returned to his family's farm after the Civil War, and farmed it with his father until a freak accident left him alone on it. Then, after some grieving and meditation on what the future might hold, he receives a most unusual visitor--a traveler from further away than he could have imagined. Ulysses--the name Enoch gives him, suitable to the human tongue--is an emissary from Galactic Central, here to recruit Enoch to operate a way station for galactic travelers. A century later, he's still running it, and hasn't aged a day. The three Montgomery brothers, Beckett, Owen, and Ryder, and their mother Justine, have bought an old inn and are rehabbing it to reopen as a high-end bed & breakfast. Widowed Claire Brewster is raising her three boys, and running a bookstore called Turn the Page across from the old inn. Her best friend Avery runs a restaurant, Vesta, nearby. Neil deGrasse Tyson delivers twelve lectures on what makes our universe so fascinating, and in some ways so different from what we see with our naked eyes and common sense. 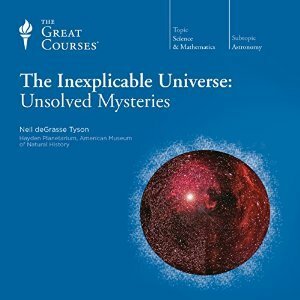 He covers the probable origins of the universe, why things are, beyond a certain size, mostly round, the age of the universe, the discovery of planets outside our solar system, whether we're likely to find intelligent life, and the probable death of the universe, along with other topics that are more fascinating than we could have guessed. And of course, Dr. Tyson is much more fascinating, educational, and entertaining on these topics than a mere fascinated listener can be. 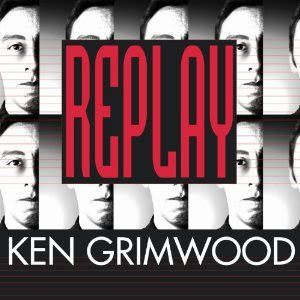 Go get a copy of this audio book and listen to it instead of reading what I have to say about it. Krista Kumar, Evie Selby, and Willow Hendriksen are best friends, young women living in New York City. Krista's an aspiring actress after dropping out of law school, Willow a photographer who has just had her first gallery show, and Evie is a writer. Evie anonymously writes the blog, Something Snarky. Her paying job, though, is as a lowly copy editor for a women's magazine called Salty. Krista is not getting a lot of jobs, not even trivial ones. Willow's gallery show was a failure. Salty publishes mostly the superficial, sexualized, "buy this to be beautiful enough to matter" stories that Evie, an intelligent, aware, passionate feminist, most hates. And they are all depressingly aware that they don't meet the societal beauty standards pushed in, among all the media outlets, Salty. One day, Krista meets someone she took a class with, her gives her a little bottle of something called, simply, "Pretty." One drop each will make them beautiful. The effect will only last a week. Not everyone enjoys books about the history of plagues. I don't know why. Well, all right, I do know. But I've always found them fascinating. 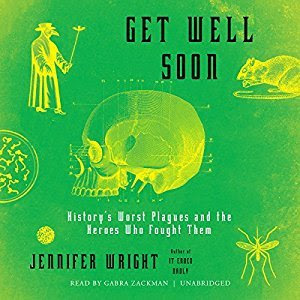 This is an overview of some of the greatest plagues in the recorded history of the world, starting with the Antonine plague in Rome under Marcus Aurelius, and ending with AIDS. What Wright is focused on is less the medical details than the way both people generally and government and social leadership responded. 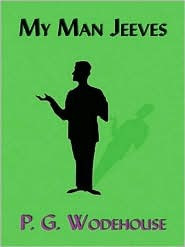 Bertie Wooster is a young English gentleman of wealth and leisure, living in New York City, with his man, Jeeves. Jeeves is considerably the smarter of the two, a fact which Bertie acknowledges freely. Bertie gets into difficulties and scrapes, or his friends do, and Jeeves gets them out, with style, grace, and aplomb. About half of these stories are about Bertie and Jeeves. The other half are about another young English gentleman of wealth and leisure, Reginald Pepper, who lives in London and travels rather freely. He has a man, too, but his is far less active than Jeeves, and Reggie has to solve his own problems, for the most part. They're both good-natured young men, meaning only the best to their friends and no harm to anyone, and for the most part, that's what they achieve. 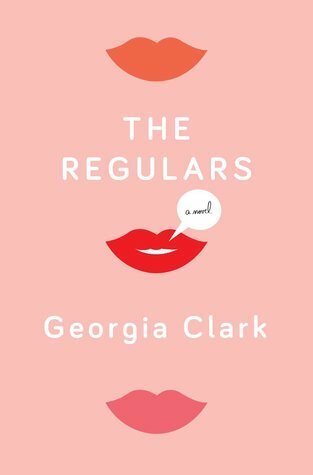 These are light, humorous stories, pure entertainment, and they were contemporary fiction when they were written. They're fun, with no pretensions to be anything more. Recommended for the light entertainment they're intended to be. 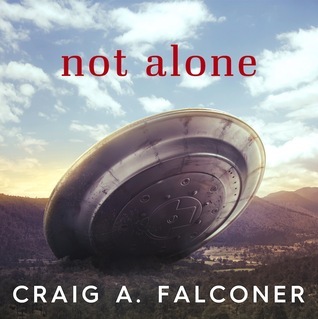 Dan McCarthy, a young man who has long believed aliens are real and the government knows it, stumbles across proof that aliens are real and the government knows it. He immediately leaks this proof--attempting, unsuccessfully, to do it anonymously--and immediately finds himself at the center of not just a national but an international firestorm. 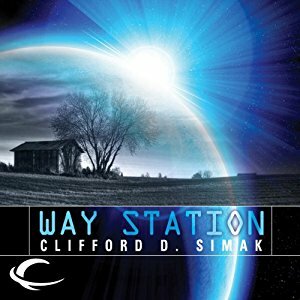 A high-powered PR firm sends someone to represent him, without asking him first; a former war hero, former US Senator, current head of an offbeat federal space research agency, decides he's going to discredit and destroy Dan to keep the secret; Prime Minister Godfrey of the UK decides that supporting Dan and his claims is the best way to simultaneously distract from his domestic woes and hit back at US President Valerie Slater. This is, as it says, stories from the Long List Anthology, stories that placed high but didn't quite make the Hugo Finalists ballot for 2016. 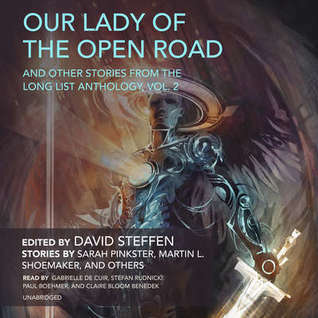 The six works included here are as diverse as David Levine's "Damage," a military sf story of artificial intelligence, and Ursula Vernon's "Pocosin," fantasy influenced by Native American mythology. What they all have in common is that they are all excellent, and all would have done the Hugo Finalists ballot proud had they made the cut. 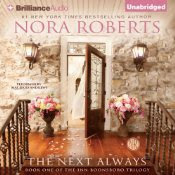 I don't really have a great deal more to say, except do yourself a favor, and listen to this audiobook, or read the individual stories elsewhere. 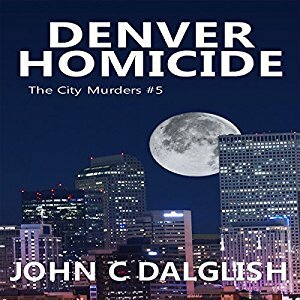 River Cartwright was a rising young star in the British secret service, until suddenly he wasn't. 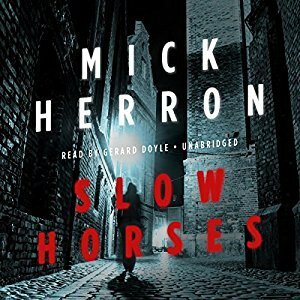 Now he sits at Slough House, one of the "slow horses," transcribing cell phone conversations and hoping for a real assignment. And then a young man is kidnapped by a shadowy group who claim they'll cut off his head on live tv. This particular young man seems like no one at all, the son of Pakistani immigrants who run a soft goods store. The catch is that he's the nephew of a very senior member of the Pakistani intelligence services. Jeff Winston, 43 years old, dies suddenly of a heart attack, in October 1988. Then he wakes up, in 1963, eighteen years old and a freshman in college. With all his memories of his previous life intact. He's got it all to do over again, except that this time he can do it right. He can amass all the wealth, fame, and success he missed out on the first time around. But his death happens again, on the same date, and he has a third chance. And a fourth. What's going on? Why is this happening? And is Jeff all alone, or are there others like him? 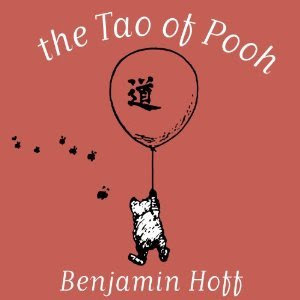 Benjamin Hoff uses Winnie the Pooh and his friends to explain the principles of the Tao. There really is a fair bit of gentle wisdom to be extracted from the stories of Winnie, Eeyore, and the others, and Hoff does a decent job of it. Sadly, it's no more than decent. There's an insistent, one-note, "if you don't agree then clearly you just don't understand, and are wrong" tone that rears its head repeatedly. It does grate on me from time to time. Yet at the same time, he also does, often, throughout this short book, quite nicely and charmingly capture the ways in which simple, uncomplicated Pooh can find the right answer while his "smarter" friends are getting lost in complications of their own making. Overall, I enjoyed it, but perhaps just reading or listening to Milne's own stories might be even more rewarding. One might think that with Ivan Helsberg safely dead, all would be well at Belrose Abbey now, but it seems there are still secrets to be uncovered. It's not just that the staff are still for the most part the staff that served Ivan; there's mounting evidence that there's someone, or something, living on the estate that they don't know about. 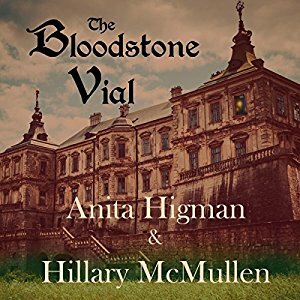 When Anne and Ivan's stepson Wyatt see a strange-looking person wandering the estate, and Dauphine finds blueprints that claim to be the plans for an insane asylum to be built on the estate, they start to get really alarmed. It's all nicely atmospheric, with characters who are seemingly simple turning out to be interestingly complex. 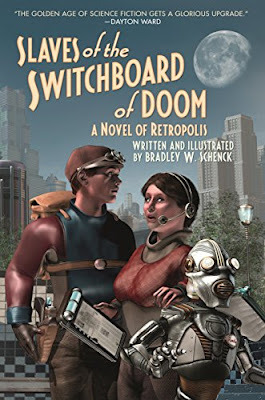 Retropolis is a city of the future as imagined in the first part of the 20th century. Robots walk the streets and work in many jobs that require physical abilities and machine precision that humans don't have. They're intelligent, and while they start out as indentured workers, they earn their full freedom over time, and have formed a pretty powerful union. Meanwhile, humans do other work. Everyone relies on InfoSlates, which are a lot like our phones, except perhaps standardized more at the size of an iPad. That's my impression of them, anyway. Another difference between InfoSlates and either iPads or phones is that they rely on human switchboard operators. Nola Gardner is a switchboard operator, and she and her sister operators (remember, think 1930s rather than present day) abruptly find themselves out of jobs after a surprise efficiency review. What they can't seem to find out is who replaced them.